Sapa is the ideal stopover when you visit Vietnam. Sapa is not only famous for its wild nature, warm people but also for the distinct culture. However, if you travel to Sapa at he first time, you will not be able to ignore these tips that Vietnam Typical Tours suggests for your trip to be more enjoyable. The best time to Sa Pa is from September to November or from March to May. At this time, the weather is quite stable with dry sunny days and cold nights. 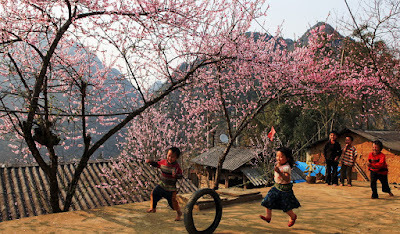 Especially, in April and May, Sapa buries in countless colourful flowers and green fields. Sapa in late August or beginning of September, ethnic minorities' terraces are full of yellow and very beautiful. Visitors also can be there after Lunar New Year to see cherry blossoms in Sapa. 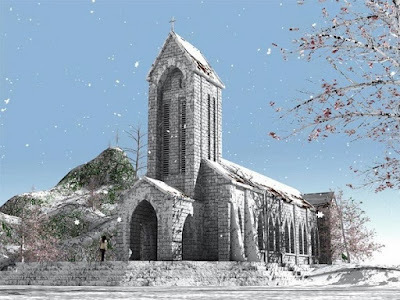 In Winter time between December to February, it is quite cold, especially at night and morning. However, you will have chances to see the sunrise on the high valley in the early morning. In recent years, Sa Pa usually has snow and occasional snowfall. If you come here on this occasion, I'm sure you will be in a romantic scene. Thus, Sapa is very noisy and crowded this time. If you prefer quietness, it is not a good idea in this place. Sapa's food is extremely diversified and delicious but also easy to hurt your beloved stomach. Don't forget to bring one bag of digestive medicine. It's always a problem when visitors to Sapa, especially, foreigners. Sometimes, price for a foreigner is higher than Vietnam's. Therefore, it's essential for you to ask the price before using any service in Sapa to see whether it is worthy or not. Useful vehicles in Sapa is called mortobike taxi because in small towns, there's no taxes or cars. Remind the mortobike taxi driver to drive carefully before going. It's just because you have more time to see nature and protect youself from uphill paths. Do not buy medicinal herbs, fomes japonicus or false ginsengs along to Ham Rong mountain. it must mostly be China's products. Choosing an high quality agency for your trips's also important. We are so glad to share with you some other tips for your wonderful holiday. Do you know all about trekking tours in Sapa which really fit with these tips. If not, our trekking tours will lead you to a better way just by a click.